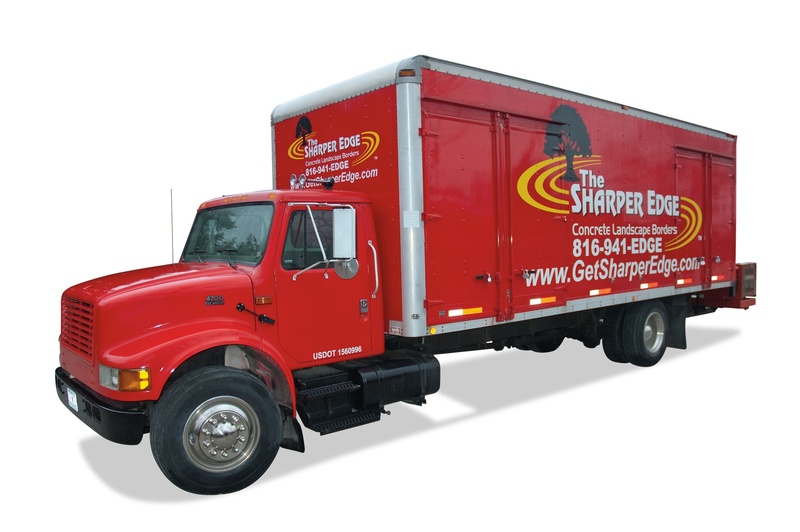 The Sharper Edge can provide “delivery only” or “delivery and installation” of the products you have purchased. Once a sale is completed it may take 2-3 weeks or more to get your piece delivered depending on our current schedule. Due to the many variables in our schedule and for efficiency, your delivery will be set up on a will call basis. As the schedule opens up, we will call you with a proposed date and approximate time window. We cannot guarantee a specific time of day. We may call you on short notice if you are flexible. In most cases your presence is not necessary. We can provide you with a flag to spot the location in the landscape, you may tape down an X on the concrete. Your salesperson can enter specific location notes onto the work order. If you feel it is necessary to be present, that is not a problem, but it may delay your installation until our schedule fits yours. Prior to delivery your invoice must be paid in full. Credit card numbers taken over the phone will incur a 3% non-secure transaction fee. Your product will be delivered to the driveway. No product placement. Your fountain/statuary will be hand packed for transport at our shop. Fountains/ statuary will be delivered to the site utilizing rolling dollies or our turf safe loader. If we do not have rolling access due to steps, retaining walls or other obstacles not mentioned an additional fee may be charged. Please be honest and tell us in advance so that we can accurately quote your installation costs. Unless the customer has contracted for a concrete pad and installation (*see optional services below), the fountain will be built on a homeowner prepared site. Prior to our arrival, a prepared site should be pre-leveled with concrete pad already in place. No dirt work will be provided with this service. The fountain will be built on site, leveled plumbed, filled with water, run and tested prior to leaving the job site. Prior to our arrival please clearly communicate the location for the piece and drag a hose connected to your water spigot to the site, as well as an extension cord, plugged in to a functional outlet (if no plug is available within 6’). If a plug is already installed, please verify that the plug is working and that any on/off switches are turned ON. Unlock any gates and make arrangements for pets to be out of the work zone. Our installers may refuse to install a piece if the site location is not as described or if the site is deemed unsafe. In this case you will be liable for labor time spent attempting to install. In the event that there are extraordinary hindrances not clearly or honestly communicated in advance, additional labor will be billed at our prevailing labor rates. A minimum of $70/labor hour will be charged for any return trips, extra time spent resulting from an unprepared site, or information not communicated by the customer which delays our installation process. We can contract with our electrician to have a plug installed on your home. Quoted in advance. We can prepare the site, level and install a pre-cast concrete pad prior to building the fountain for an additional fee. 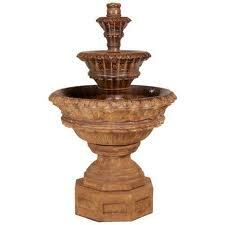 Haul away of your old fountain is available. Billing will include haul away and proper disposal. Winterization and spring opening services. Ask for details. Statuary items will be leveled and fountains leveled and tested prior to leaving the site. *Due to the nature of the earth which shifts and moves, we cannot guarantee that the ground will not shift or settle under the weight of the piece. Your statuary or fountain will likely need to be re-leveled in the coming weeks and months for optimum performance. Our delivery service does not include a return trip. This task is fairly elementary and can be performed easily by most home owners. Leveling shims are available for sale at our showroom. Failure to maintain a level fountain could cause the fountain to topple, resulting in damage to the piece or surroundings. Your warranty does not include replacement for any piece which has toppled over for any reason, including high winds. We can provide leveling services (Included in spring opening services) for an additional fee. Your pump is warranteed by the manufacturer for one year, however the labor to replace the pump is only guaranteed for 14 days. In the unlikely event that your pump fails prior to one year, please bring the pump into the store for a complimentary replacement. If you are unable to remove the pump we can perform this service at our prevailing service rates. Note that on larger fountains this can be time consuming and expensive. Charges will be incurred for call backs which are clearly the fault of others i.e. debris in the impeller due to improper cleaning or poor maintenance or running a fountain without water. Please take care of your pump in accordance with our care instructions and you should enjoy trouble free service well beyond the warranty period. Color variations, imperfections and an occasional “ding” are common on all cast stone pieces. These variations add to the beauty and character of the piece. You will see color variations and imperfections in most statuary. In most cases two items of the same color may look darker or lighter and is to be expected on pieces which are custom finished. The piece cannot be returned for this reason.